We are so excited to be able to offer all of our 8th grade students the opportunity to take the PSAT on Wednesday, October 24th. 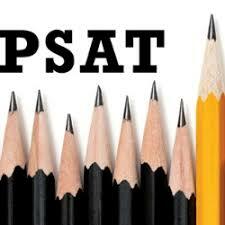 This is the first time that middle school students have been presented with the opportunity to take the PSAT. Exposing them to college readiness assessments, such as the PSAT, at an early age allows our students to get a jump start on preparing themselves for the future! Happy Boss's Day to Principal Michael Perry!